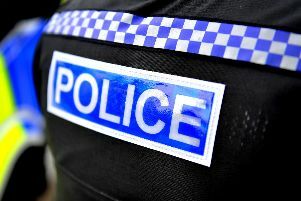 Officers were called to a property in Hailsham on Wednesday evening (September 26) following a report of four men behaving in a threatening manner. Police said the report had related to a property in Butts Field and was received just after 8.30pm. The men are believed to have arrived in a dark coloured car shortly before that time, according to police. A search of the area was conducted by officers and the police helicopter but the suspects were not found, police said. If you witnessed the incident please report online or call 101 quoting reference 1219 of 26/09.